Casper have heard Rai's thought. Even though she was the last creature he wanted to see, the man decided to get to the borders and speak with the werewolf. He stretched his body and looked up at the sky. The sun was shining and he couldn't use his speed, but he could take one good walk, right? The king was walking with medium speed and enjoyed the green surrounding while he could. He was moving between the shadows trying to be as far away as he could from the morning sunlight. The good thing about the path he was walking onto was the fact that the crowns of the treeswere so thick that the sun beams couldnt evenreach the ground. The young man stood on a metre away from the border. He was leaned against a tree, his hands crossed as his deep blue cold eyes pierced the other side. 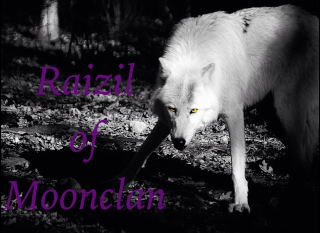 Raizil slowed down to a walk as she neared the border. The milky scent of her son was mixed heavily with her scent. Due to her claiming the child his scent and her kinda mixed. 'Great now he's going to smell Kenji too." She thought to herself, careful to keep the wall in her mind up so he couldnt hear her thoughts at the moment. She had in the span of hours became a traitor to the vampires, lost her lifelong friend, found a mate, became alpha, and now has a child. She really wondered if her life was taking a turn for the better or for the worst. She stepped out of the tree line and saw Casper leaning against the tree. "Hello Casper." Her red eyes looking at him with regret, before she schooled her face. She wished she could take back the hateful words she had said to him but she knew it was too late. Casper could catch the scent of his exfriend, but it was different. It had something that wasn't specific for her. 'A child..' he thought. 'Man, those savages are fast' he though even though he knew it wasn't possible to happen so quickly. But you know, an ironic joke wasn't that bad for a time like this one. The king slowly landed his eyes on Razil as he rised one of his eyebrows. She greeted but he didn't. She did not deserve it. ''May I know why you called me, Razil?'' and again his voice was cold and bitter as well as his grimace. Nevertheless he once again called her by her full name. Raizil hid her disappointment in him calling her by her full name, which to her was only confirmation that the bond they had once share as friends was cut. "I will not ask for forgiveness for my actions, but I have simply come to tell you that I do regret the words I have spoken to you. Also if you intend to rage ware with us I will not hold back. I have someone that I must protect and I will do everything in my power to keep him and this clan safe." Her face soften slightly as she talked about her son. Then her faced burn wih the fury and protectiveness of a mothers love. "I hate that a dear friend of mines has now become my enemy. But if that is how it will be then so be it." Casper looked straight into her eyes. His were empty and they did not show nothing else except disgust. When he was a boy, his father used to tell him that werewolves were treacherous creatures. He didn't want to believe because Rai wasn't like them, but now he understood how right his father was. She was just like the others of her kind. "Will you ever stop lying? You do not regret. Traitors never regret. All these kind lies that are sipping out of your mouth are just a stupid facade. You may have managed to make Eliza believe you, but you won't make me. You say you have people to protect. I have too! And I will do anything for them." He could see the protectivness in her but he didn't care. He wasn't going to let these flea bags wander around his territory. Not anymore. "A dear friend? Is that the new definition of back stabber. You're nothing more than a traitor." The king turned around and took a bag which was filled with the stuff of the werewolf. He threw it at her as well as her sword. Then again he spoke. "Make sure none of your kind cross the border because if they get even a milimetre in Crimson fang you will never see them again." Before Razil could speak again, the young dark haired man left the border. He didn't want to hear her voice nor see her eyes. He didn't want to have anything in common with her anymore. 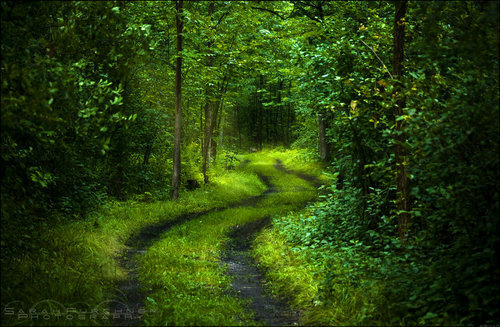 He even walked where the sun beams lightened the path,so he could not hear her thoughts. Raizil's eyes hardened as she listened to Casper's words. She would have never been a traitor in the first place if he just didnt let her go with Jake in the first place. "Very well then, same goes to you and your bloodsuckers." She yelled and caught the things he threw at her just in time. She strapped her sword unto her back and instead of going back home she headed off towards the market in town. Kenji was following the smell of where his new mom came from and he caught an interesting scent of the vampire king, Casper. His curiosity got the better of him and he decided to see where the scent led him. So not knowing about the borders and what a dangerous thing he was doing, Kenji crossed the border unto the Crimson Fang land and headed off to the forest. He was having so much fun, but he didn't know how he was endangering everyone by his pup innocence of just wanting to have fun and explore. The king stopped at the border. There was no sign of the werewolves. That of course did not mean he could let his guard down. The male kneeled down andplaced his hand carefully on the boy's head. A thin smile appeared on his face as he began speaking calmly. "The answers to the questions you asked earlier, I do know your mother but we don't live with your parents because we are different and it is against our nature to live as one clan. I am not friend of your mother, I will never be. I do not like your kind and next time you or one of your clanmates cross my border I will make carpets for my mansion from your furs. Got it, little one?" Casper's deep blue eyes pierced the pup. He saw the fear and felt the trembling of the young one. The moment he let go of him,the unknown intruder ran back into his territory. The young man got up on his two legs and wathed as the pup disappeared after a few stumblings. 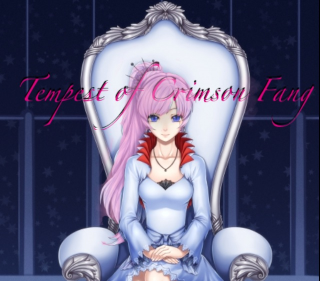 He knew that they won't dare to come even a centimetre in Crimson fang's territory anymore. Kenji's smile was replaced with a frown as the man started talking. He didn't completely understand what was being said to him but all the same it made him scared and he started to shake. He ran back over to Moonclan's land. Tears falling down his cheeks, he wanted to go home and be with his mommy now. Raizil was almost to the border when she caught the fresh scent of Casper and Kenji. Under any other circumstances she wouldn't be worried but because of recent events she was scared. She shift back and ran to her crying son that was headed her way. She picked him us and while rocking him she mumbled to him. " oh, Kenji. I'm so glad your alright." She held him close to her. Then she walked forward until she saw Casper standing there. " I thank you for returning my son to me." Then looking at Kenji she said, "Kenji, you can't go running off like that. Do you know how much danger there is to a pup like you out here by yourself. Tell King Casper your sorry." She said to her son in a stern tone. Kenji was so happy when he saw his mom and she picked him up. Slowly he stopped his crying and looking at his mother in shame as she scolded him in front of this stranger. She turned his head to the man the had delivered him and did as his mother asked. "Me sorry, quing Kasser." Casper stood there silently and watched as the traitor got near. Hs eyes were cold like the wind that was blowing tonight. His dark har was slowly moving as the moon made his skin look even mre white than usual. He took a few steps forward and stopped just before crossing the border. He raised his head high as his eyes shot Razil. Her nice attitude was not going ro work on him, not anymore. ''This is the last compromise I make. The next time I see any of your kind I will make carpets from their furs." his tongue was sharp, yet rather calm. The king did not wait for the wolf's reply. Instead he turned around and slowly walked away. He wasn't planning to return back home so soon, nor to wander around the territory. Maybe he was going to paya visit to the town or somewhere else, where he can be alone just for a few seconds. He started a war and roght now he needed some time to think about the preparations of the future events. Besides he had to speak with Tempest and Dylan too, but that later. Raizil eyes shot up to glare at him. How danger he say something like that in front of a pup. She didn't say anything when he left. She just glared after him. She made a promise then and there that she would rip out the next persons throat whoever harmed Kenji in any way. Even if that meant her fighting Casper or Eliza. Jake followed after Raizil, watching the toe interact carefully. He mouth flickered into a smile upon the return of Kenji, but his green eyes quickly turned back to the vampire king. He walked forward, standing beside Rai and Kenji protectively. "And your fangs will become a necklace if you come on to our side!" He called after Casper, not sure if the male heard him. He forced the angry look on his face, and looked at Kenji. A smile was planted on his lips, and his green eyes returned to the color of spring grass. They grew a dark leaf green when he was troubled or angry. Jake gently placed a hand on Kenji, love in his eyes. Raizil chuckled at Jakes comment. "That would be one ugly necklace Jake." She said with a laugh. "Well know that the vampires are now are enemies we need to be on alert and increase border patrols since at the moment we don't have any watchers or hunters." Kenji smiled at the site of his dad and twisted in his mothers arms and reached for his dad. "Dada." Jake chuckled, his pearly white teeth shining. "Yeah, but he would still be dead" He said, too cheerful for the words he had just said. Looking down at Kenji, his smile grew wider. He ruffled his hair gently, chuckling slightly. Raizil smiled and put Kenji down on the ground, since she now knew he could walk. "Aaa, and there is the return of the arrogant fool I fell in love with." She said and punch Jake playfully in the arm. She watched as Kenji chased after a butterfly and called after him. "Kenji stay where we can see you!" She smiled at the playing pup, as he tried to capture the butterfly. She turned back to Jake, her eyes held mischief in them. Jake chuckled at the amusing sight of his son chasing the butterfly. Turning back to Raizil, he noticed the look in her eyes. He smirked back at the female. "What's that look for?" He asked slyly. He took a few steps toward her, a curious look in his light green eyes. Raizil smiled evilly at him. "Did you forget that I am still mad at you, Jake?" She asked him, knowing that he probably did forget. She was thinking of what she was going to make his punishment be. "I wonder what I should do with you?" She said and placed her hand on her chin as though she was pondering about something. "What do you think I should have you do?" Jake grinned sheepishly. He had actually forgotten. "Awww, I'm sorry Raizil. I believe that's the alphas job. To pick punishments that is." Jake chuckled. Deciding to try something, he gently placed his hand on her cheek. "Surely you wouldn't want to hurt the father of our child? Your mate?" He said in a fake plea, adding on a whimper at the end. His eyes glowed bright with a playful light green. Raizil just smiled at his comment. When he placed his hand on her face she smiled and twisted it behind his back. She was now standing behind him. She leaned in to where her lips were brushing against his ear and seductively whispered in his ear. "Your Alpha asked you a question, are you not going to answer me?" She asked and nibbled his ear. A smile that he couldn't see was in her face. She had no intentions if actually hurting him, because what he didn't know was she had forgiven him the moment when she saw how sorry he was. She just wanted to mess with him. But if he thought Rai would just let him seduce her out of punishment, he had another thing coming. Jake blushed brightly, his smile growing wider. He jerked around his arm, not really trying to free it. When he felt the words on his ear, he quickly turned and playfully snapped his jaws in front of her face. "How can I answer something I have no right to decide?" He chuckled at her. Using his other arm, he reached around, grabbing the hand not holding him. Suddenly, a mischievious grin appeared on his face as he turned his attention to their son. "Help Kenji! Mommy is hurting Daddy!" He whined, glancing back at Raizil after his plea. Raizil's face was amused at the turn of events. But then turned to shock as Jake grabbed her other hand and held it, and calle for their son. "So you wanna bring our son into this huh." She asked staring at him. Kenji had caught the butterfly and was trying to eat it but it kept getting away from him everything he opened his hand. He was about to go after it again until he herd his dad call for help. He instantly turned around and raced back to where his parents were. He shifted and ran to his mother and headbutted her. When that didn't work he started barking and pawing at her. Raizil would have fallen over had it not been for Jake holding her up, when Kenji ran and head butted her in the leg. She looked down at her son and then looked back at her mate with an annoyed look. "You will so be paying for this." And then she got an idea. She twisted and brought his arm around her, so that it looked like he was holding her from behind. " Kenji, it's daddy. He got me Kenji help free me please! If you free mommy I will give you a toy" she pleaded while grinning evilly. She watched in amusement as Kenji stopped attacking her and with excitement about being promised a toy, started to nibble And pull at Jakes pants. Jake laughed loudly, looking down at his son. Right then, he was as happy as could be. "So you discovered my evil plan? It won't do you any good!" A second after that last word, he twisted away from Raizil, using his strength to pry her off. He leaned down and grabbed Kenji, lifting him up. He backed away with Kenji in his arms. "Don't move, or I tickle the baby!" He laughed playfully, his finger outstretched towards Kenjis side, a fake evil look in his eyes. Kenji shifted before his dad picked him up because he was tired now. Hearing his dad's words he looked at his mom in horror. "No mommy don't let him do it, please!" Raizil laughed as she was pushed away and then Jake threatened to tickle Kenji. She smiled and took a step forward. "Don't worry mommy's coming." Jake tsked at Raizil, quickly giving a tickle to Kenjis side. "A tickle for every step. Pick them carefully Raizil." He laughed. He shifted Kenji in his arms, so he was leaning against Jake, and Jakes arm under his knees. He held on gently, yet not too gentle; he wouldn't want to drop him.